My sister wanted a quick and easy banner to hang up for my niece's birthday. We put together one that said "CELEBRATE" in an afternoon and I thought how about some hugs and kisses? So, here's a little Valentine banner to hang on your door or wall. This banner uses felt, one package double-fold bias tape, and hot glue. The rectangles are 8" x 6". 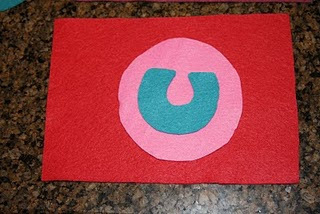 If you are buying felt by the "square", each one is 9" x 12" (I know, not so square) and will make two rectangles for the banner. Felt by the yard comes 72" wide, 1/4 yard will make 12 rectangles. 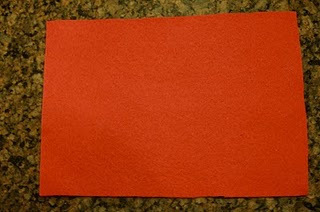 For the Valentine banner you need two red squares, one pink square, and one white square of felt. Cut out your rectangles. I printed letters in a font and size that I liked, then cut them out. 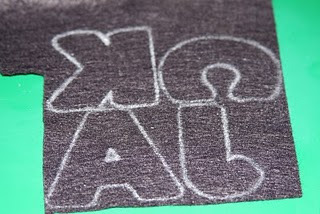 Trace the letters (mirror image) onto the felt using a pencil or chalk. Cut out your letters and shapes and hot glue them in place on the rectangle. Cut your bias tape long enough to fit all your letters and have about 12" on either side for hanging. Fold it in half and place a pin at halfway. Lay out your message in order and find the middle. Start pinning bias tape to the top of the rectangles working from the middle out. Leave about half an inch between rectangles. Fold short end of bias tape over to hide cut edge. Starting at one end of the tape, sew about 1/4" from the open edge continuing across rectangles from one end of banner to the other. Hang your banner in place. Here are some other ideas. The celebrate banner has pompoms hot glued to the bottom and 4" circles under the letters. This version I made for my little pirate's room. He needed happy skulls so they wouldn't be too scary. Awesome, I could totally see making a robot one for Guy's room! The Jack banner is too cool! So CUTE! I love festive little decorations, especially when they are reusable. Sweet! Love it! I know my daughter would like one for her room too! Come share at my Thursday's Treasures party! 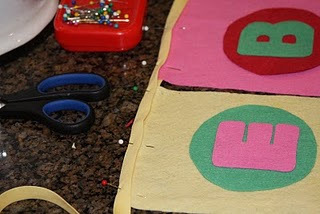 LOVE these banners...I am going to make the pirate one for my nephew and an XOXO one for the holiday! Thanks for the info! Oh, I love that XOXO one!! Thank you for the template!